Since the late 70’s, we had started to introduce the automatic irrigation systems to the industry, starting with the plastic and brass impact heads. We now can offer the most up to date irrigation products that are on the market. From a university’s complex lay out to an athletic or park facility, we can construct and maintain any watering demand for any surface. Our irrigation service includes winterizing, activation, G.P.S. layout, seasonal maintenance, retrofit and relocation, trenching with mechanical backfilling, pipe and wire pulling, underground horizontal drilling for walkways, 3 and 4 inch pneumatic mole service where excavation isn’t possible, emergency and on-call service. For those precise installations, we do offer laser guided trenching to an exact depth using our Wizz-Wheel trencher. Growing up being heavily active in the irrigation industry at such a young age, irrigation had come naturally. Today, we offer full scale irrigation for large area, which include state and municipal athletic fields, such as football, soccer, softball and baseball, lacrosse. From practice area to game fields, installing from basis of design, or providing full detail of design and install, it can be done effectively. Our equipment can be utilized in any condition, and provide a seamless install on established natural turf, or with new installation can be handled just as effectively. Our scope ranges from municipal locations, to private schools, across the northeast. 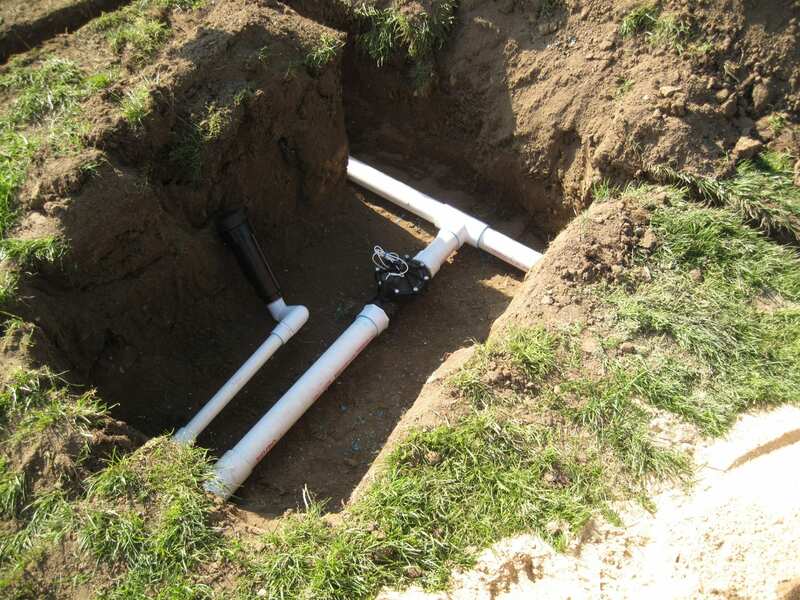 Our drainage service offer a wide range of drainage solutions, from main collector pipe, tie- in to existing outlets, to installing pre cast vaults and man holes. 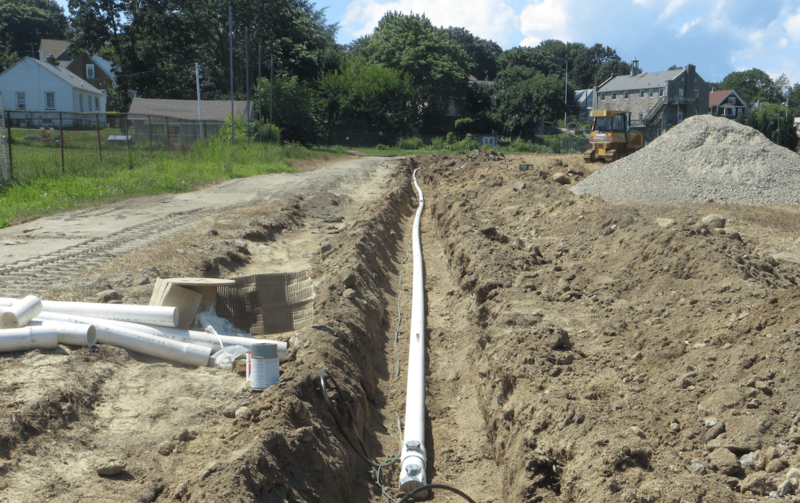 Field drainage consists of many options, which also include slit drainage. 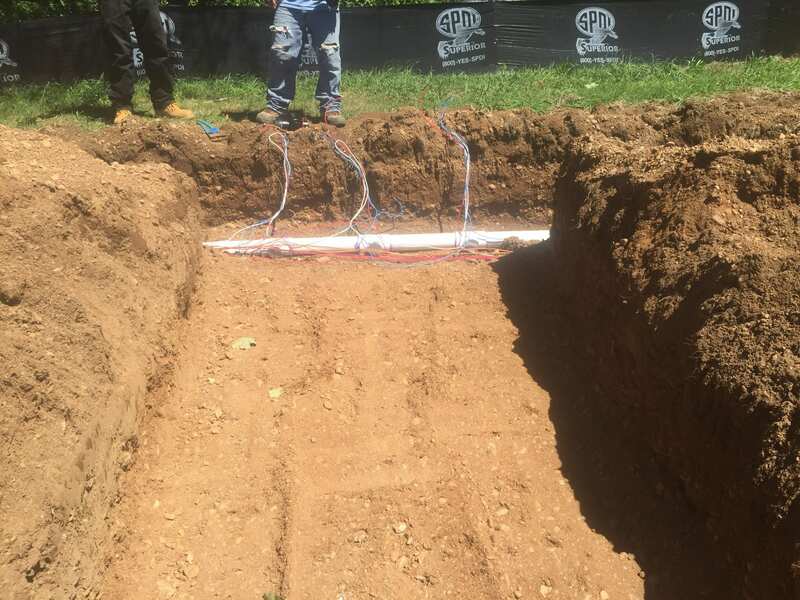 These precise trenches can utilize as small as 2 inch diameter pipe slit drains, as well as tile drains or panel drains; to a depth of 30 inches deep, and can be laser guided, to ensure the trench is going the correct way, in an area that does not contain any current survey or layout. 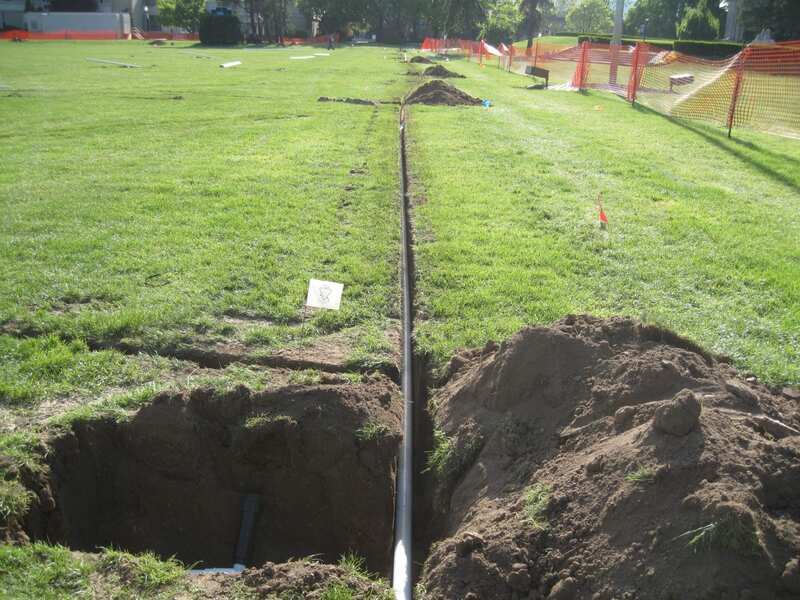 The slit trenches can be installed with a minimum opening ranging from the 3 to 4 inch wide opening, to a maximum opening of 6-7 inch opening, clean and ready for pipe or backfill material to be installed. Our machine creates a clean trench, which is left for us to restore OR the owner to install his own material. ​To piggy back on our drainage service, we have been offering sand injection, for the past 8 years. Our sand injection creates a “wall” of injected sand material, every 10 inch on center and up to approximately 5-6 inches in depth, for every pass the machine makes. This method is proven, and can be used in place or in conjunction of our slit drainage, on areas that need extreme surface de-compaction and water removal. The sand is permanent, and does not break down, providing many years of water collection with minimal interruption of the playing surface; and also providing a draining solution for areas that are limited on resources. ​Being in the similar trade for site utilities, we are able to provide the equipment and knowledge for electrical, water, sewer or conduit for future use. The scale of different projects has led us to include and supply these items per job package. We can prepare the area, or coordinate the install accordingly. All projects consist of having the utilities in place for new construction, or to improve the site, therefore the work load isn’t something new to us.